For this reason, translation agencies are engaging more and more doctors with extensive experience in the translation industry or translators with specialized, specific training in medical translation, who are perfectly familiar with the terms and abbreviations used in the industry. Among specialized translations in the medical industry, you can find different specialties such as: pharmacology, toxicology, radiology, hematology, genetics, cardiology, neurology, immunology, microbiology, pathology, urology, gynecology, oncology, and biotechnology, among others. Translations in each of these areas will require an expert in each specific field, who makes judicious use of the vocabulary and who knows the jargon inside out. Some of the documents that may be translated in the field of medical translations are: internal medicine reports, clinical trials, specialized articles and books, glossaries, clinical protocols, medical histories and records, instructions for use of medical devices, prescriptions, drug information leaflets, analysis results, toxicology reports, medical certificates, etc. 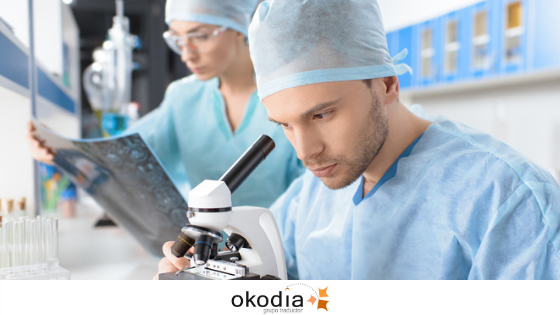 There are other aspects that must be taken into account in this type of translation, such as the rates and ongoing training that medical translators have to undergo.These are aspects that medical translation has in common with translations in other specialties, such as technical translations.If you wish to learn more about them, we recommend you read our post on technical translations.